Certain Coca-Cola bottles claim that the drink contains no artificial flavors and chemical preservatives. This seems to be the company’s newest strategy to get the more health-conscious customers back on board. The only problem is that the labeling is somewhat misleading. Coke contains the notorious phosphoric acid, which is essentially both an artificial flavor and a preservative, and has been linked to many health problems. It also contains other ingredients that are linked to depression, kidney damage, heart attacks and brain damage. Read on to find out what happens to your body when you consume Coca-Cola and how it can harm your entire body. Within 20 minutes, you get a sugar high. Your blood sugar spikes, resulting in a quick release of the hormone insulin. The liver tries to compensate by turning excessive sugar into fat and storing it around the body. Within 40 minutes, all the caffeine is absorbed and your body responds to this substance: the pupils dilate, blood pressure rises, and the liver dumps even more sugar into the bloodstream. Around 45 minutes after you have had your drink, the body increases dopamine production, which gives the person an imminent sensation of pleasure – this is similar to the way the body responds to heroin. After 60 minutes, you develop a sugar crash. You can experience fatigue, change in mood, lethargy, mental fogginess. A can of coke contains about 10 teaspoons of sugar, which amounts to 100% of your recommended daily intake. The extreme sweetness is masked by phosphoric acid, which prevents the body from developing an immediate reaction to the glucose overload. 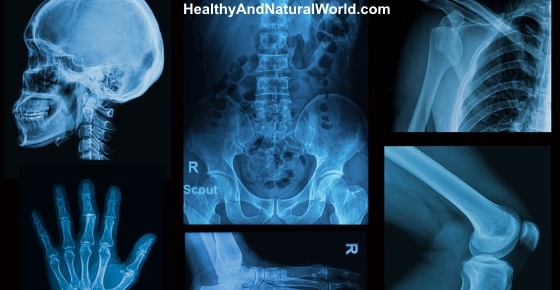 Here is how phosphoric acid can destroy your bones. Coca-Cola contains Phosphoric which is also known as E338, orthophosphoric acid, and phosphoric(V) acid. It is a mass-produced chemical, available cheaply and in large quantities. It can be used to remove rust, while the food-grade phosphoric acid is a very acidifying agent. It makes the drink more acid than vinegar or lemon juice. Some studies have linked phosphoric acid to osteoporosis, chronic kidney disease and kidney stones. One such study was published in The American Journal of Clinical Nutrition in 2006. The main conclusion of the study was that drinking cola is associated with low bone mineral density (BMD) in women. Women who were drinking Coke daily, had 3.7% lower BMD at the femoral neck compared to those who didn’t consume the drink. The link was not found with other carbonated soft drinks. There was however a study that claimed just the opposite, and linked low phosphor intake to lower bone density. This study was funded by Coca-Cola, so the findings are not unbiased, and the validity of the study has been questioned. Excessive consumption of sugar is one of the most dangerous brain damaging habits but did you know that even sugar free diet soda can potentially damage your brain? Consumption of fizzy beverages harms the heart. According to a Harvard-based study, drinking soda increases the risks of coronary heart disease. Adverse changes in lipids, inflammatory factors, and leptin were also noted. Those participants of the study who drank the most sugary drinks, had 20% higher chances of developing a heart attack (see my post about 10 signs of heart attack you should not ignore). Soda drinks affect almost every part of your body and the short-term and long-term consequences can be quite drastic. By avoiding fizzy drinks, you will promote the health of your brain, lungs, heart and teeth. As I mentioned at the beginning of this post, certain Coca-Cola bottles claim that the drink contains no artificial flavors and chemical preservatives. Coca-Cola is under fire for its deceptive labeling, and several class action lawsuits have been filed across the US. The company officials say that phosphoric acid is not on the Food and Drug Administration’s (FDA) list of artificial flavors, so they are not obliged to name it as one. But this claim was quickly discredited, as the FDA’s list is not meant to be exhaustive. The FDA defines artificial flavors as ingredients included specifically to add flavor and which are not derived from natural sources like fruit and vegetable juice, plant materials, or dairy products, among other things. Coke doesn’t hide the fact that phosphoric acid is used in its signature drink, and includes it in the list of ingredients. It adds tartness to Coke (that’s why the abundance of sugar has to be used to mask and balance the acidity), and prevents spoilage, so it’s clearly a flavoring and a chemical preservative. Meat and dairy products also contain phosphate compounds, which is probably why they can cause inflammation in the body. According to the Center for Science in the Public Interest (CSPI), most phosphates in the American diet don’t come from soft drinks, but from animal products. Taking that into consideration, Coke might be more harmful due to its high sugar content, and less for the phosphoric acid it contains. Food and beverage labeling is becoming a big battlefield, and there is a lot of scope for fraud and product misrepresentation. Common ingredients found in processed foods can be harmful for our health (and you can read about them in my article about the top 10 worst ingredients in food). It is clear that Coke is not a natural drink. People buy it for other reasons, and being healthy is not one of them. You may think that drinking sugar-free diet soda is better for you than regular soda, which is full of sugar. After all, we all know about the dangers of consuming too much sugar. However, a medical study published in the American Heart Association’s journal Stroke found that the artificial sweeteners used in diet drinks are a major cause for concern. The medical study found that drinking diet soda is linked to a greater risk of stroke and dementia. You can find more details about it in my article: Drinking One Diet Drink Daily Can Triple Risk Of Dementia & Stroke (and Cause Cancer). Phosphoric acid is produced and used within your body during metabolic processes around ADP/ATP energy metabolism. Phosphorus and phosphates are a essential component to life. Phosphoric acid is an acid correct but, it is more acidic than vinegar and other acids. However, you have forgotten about the stomach whose acid content is far stronger than phosphoric acid. Phosphoric acid is used in soda to keep carbon dioxide in solution ie a preservative of “fizziness”. Not all preservatives are “bad”. Phosphoric acid exists naturally in nature as part of the life cycle of phosphorus again an essential component of life like water, carbon, nitrogen, etc..
From an acid perspective, drinking soda would supplement the age related decline of stomach acid. However, to much would affect pH in the GI tract and affect nutrient absorption and digestion processes. Carbon dioxide expands the stomach providing more room for food and may result in over consumption of food. Carbon dioxide can be absorbed in the stomach lining directly into the blood and form carbonic acid. This will have little effect on the blood pH and chemistry due to the buffering capacity of your blood. Again, over consumption may lead to affecting the pH of blood. Once this capacity has been stretched then problems can arise from the change of blood chemistry due to the lowering of pH. Sugar has its own problems. Too much can cause a hole list of problems. Blood levels affect the insulin response which leads to irregular blood levels which affects many things due to improper energy levels. Diabetes is one of the most common and also brain function. So what else in soda is causing the problem? Good question – maybe the caramel additives, other natural and artifical flavourings? Regardless, correct information should be given so that the public is not misinformed about the risks of drinking soda. Should we stop drinking soda? Maybe but, perhaps a reduction would be appropriate nonetheless but that depends on your current health status. If you carbohydrate daily intake is reduced then is drinking soda moderately a problem? I do not know just wanted to clarify some finer points that are often overlooked, mistated and quite frankly wrong. If you put 20 penny nails in a container with coca cola in it, the nails will disintegrate very rapidly. Do you think we need that in our bodies? A 10 ounce coca cola has 10 teaspoons of sugar in it. Do you think it is good to drink something that has that much sugar in it? Personally, I have never drank carbonated drinks and I hope I never get the urge to do that. I don’t need the sugar and I certainly don’t want to drink something that can dissolve 20 penny nails. Those same nails will disappear far faster in stomach acid. What, exactly, is your point? Nonsense from beginning to end. No studies link either Pepsi or Coke to death. Many things, like, say, water and oxygen, will eat through steel plate. Breathing in the vapors from peppers can cause health problems. Pepsi & Coke are known killers ! I carried the chemicals from Ireland to other EU countries in the backs of trailers. Often a container would be leaking the chemical would eat through a 1/4 plate steel chassis of the trailer. These chemicals did cause health problems just to breath in the vapours on a hot day caused problems. They should be banned, they are killing children / people. I like this article very much. its very educating. its true that many will oppose it but the truth must be told irrespective peoples action or reaction. Thanks so much for the information, i like taking chilled coke when am tired but i will stop it as from today. What about other soft drinks like fanta, mirinda, bitterlemon and so many? Soft drinks in general are full of artificial ingredients and should be avoided as much as possible. Drink instead herbal teas or flavored water or green smoothies. I do not understand all of this. I am sure that there are plenty of chemicals and preservatives in many, many different foods and drinks today and depending on the source of the information received would govern how serious the effects reported. I personally have drank approximately one gallon of coke per day for about forty years and I have experienced none of the symptoms you propose. I am now 66 years old and am still healthy. I propose that you should reinvestigate your findings for I find them completely unvalidated. If you wish to reply to this email I would gladly answer. Hi Sammie, the findings are based on the resources at the end of the article. I cannot argue with your personal results. I believe it’s a personal choice of every person to decide what he/she consumes. If it works well for you, then by all means continue to enjoy it and drink it. It’s your life and your choice and I respect it. I’m not going to try and convince anyone to make any changes in his/her life. Do what you think is right for you and I wish you to continue and enjoy good health. Hi Sam!My dear Husband Carl has been drinking Diet Coke also about a gallon a day for more than 40 years!His blood work is fine.He does have extensive dental work and High blood pressure.Over all,he is pretty good health. Just because you have none of the side effects doesn’t mean that everybody else wont. You cant say that 10 teaspoons of sugar is good for anybody. Especially 10 gallons a day. Every doctor will tell you to not drink that much sugar. Glad you are healthy, but this is not new information in this article. This has been studied and documented for years. Sugar is bad for the human body, especially in large quantities. Ive been drinking several cans of COKE a day for 45 years. according to this article, I should be DEAD by now!! So you’re 102 years old now? Probably your pal mistook his front teeth with two mints? I drank diet Mtn Dew for years. I had an A1C test done for diabetes damage. and I found I was prediabetic. I would retest in six months. I forgot about that, and decided for my health I would cut out all sweeteners, even HFCS and sugar. I started feeling better. I had an A1C after six months and I was normal. I think if I had continued the diet sodas, I’d probably be diabetic by now. I no longer buy any coffee sweeteners or creamers, I make my own. if I can’t read it on the label, I don’t buy it. Why stick up for anything that is just plain bad for you ? People who eat too much candy and sweets find themselves with rampant tooth decay and bad bones, down through the years. When I was in elementary school, the teachers had us place a baby tooth in COKE overnight, by morning that tooth was jet black ! Not only am I allergic to caffeine, I have always had an aversion to all cold and fizzy drinks. I’m glad, because when I was a baby there was a very popular baby cereal called PABLUM, which was laced with FLUORIDE, which is a known chemical waste, and it rotted my bones !! I have to take bone medicine every single day and night, because at one point ( in 2005)I fell backwards on hard dirt, and I actually broke my pelvis in 3 places, due to the bone rotting candy, cake, ice cream and Pablum (and other sweets I had eaten all my life). Why argue against good common sense, and just drink plenty of water ?? it’s good for you ! I would insist to be included in your studies….I’m 60…been drinking diet Dr Pepper for 35 to 40 years and 2 liters a day for over 20 years. I weigh 188 lbs 6ft tall..I used to be taller… going to take a physical n blood work next week but it’s always very normal and I have records of blood work going back I think 20 years. It’s hard for me to believe everything thing you all say as it effects people. Sure…if you drink sugar your gonna get fat…and maybe Coke is worse. Otherwise I’m very healthy for my age, not fat, low heart rate n blood pressure. OK so we shouldn’t drink coke, so what should we drink? Water? Water from the tap is mixed with fluoride which destroys the thyroid, and pineal gland. It’s also linked to cancer. Fluoride is used as a insecticide and they put it into our water. So what else? Do we drink juice? Well a glass orange juice contains the sugar of like twenty oranges and as you pointed out, too much sugar is bad. So what do we do? Die of dehydration? Nothing is healthy people. If you want to, you can write a article stating anything is bad for you.